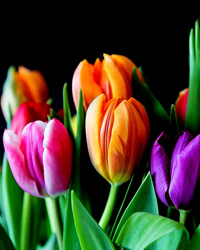 Obituary for Geraldine Carruthers | In Memoriam Funeral Services Inc. Passed away peacefully at Headwaters Hospital in Orangeville. Will be sadly missed by her children, Ted (Sharon), Dave (Lorie) and Michele as well as her Grandchildren Taron, Nicole (Steve), Taylor and Jamie and her recent Great Grandson, Owen. Survived by her siblings Barb and Dave (Shirley). After graduating from the University of Toronto Gerry married Bill Carruthers and they settled in North Toronto where they raised their three children. Gerry especially enjoyed spending the summers at their rental cottage on Lake Muskoka and enjoying time spent with family, neighbors and close friends. Christmas was always a favourite occasion with the family celebration and dinner originally at Bill’s parents, Clare & Aileen Carruthers, followed in later years with a great feast at Aunt Joan & Uncle Peter’s home along with cousins; Mark, Paul, Katherine & Beth. Gerry was also a tireless volunteer while raising the family, culminating in terms as President both of The Elizabeth Fry & John Howard Societies. 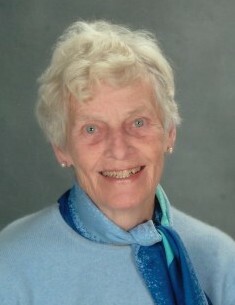 She was also an avid curler and bonspiel participant at the Thornhill Curling Club and enjoyed golf and many friendships at The Summit Golf Club.Once the children had grown, Gerry enrolled in the Legal Assistant Program at Seneca College and graduated in the late 80’s as the Class Valedictorian. After a 10 year career in the Legal Community Gerry retired first to Newmarket and then in Orangeville. Many Thanks to the incredible staff at both Chartwell Montgomery Village and the Eaton Wing at Headwaters Hospital. Cremation has taken place and a Celebration of Life for family and close friends will be held in the spring.